This is amazing region in the constellation of Monoceros, which includes some objects of different kind. NGC 2264 is a designation number that identifies two objects as a single object: the Cone Nebula and the Christmas Tree Cluster. The last is a young galactic cluster of stars in the Monoceros OB 1 association. 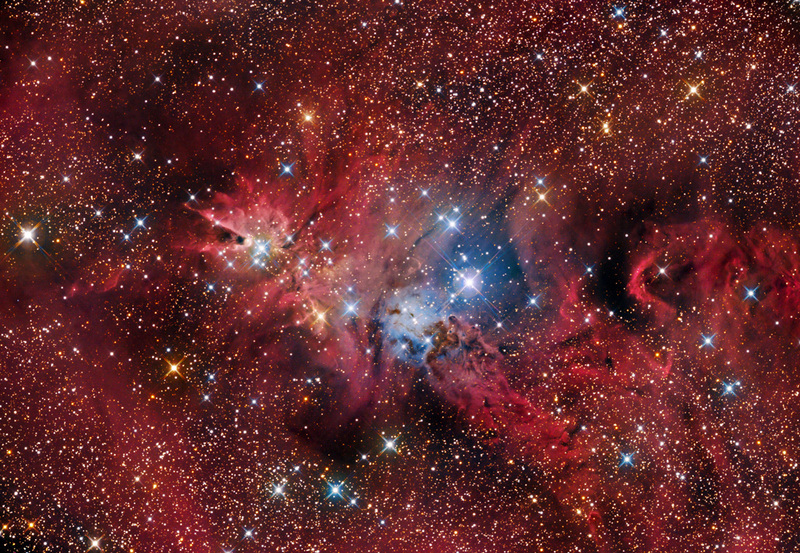 Brightest members of the cluster resemble a "Christmas Tree". 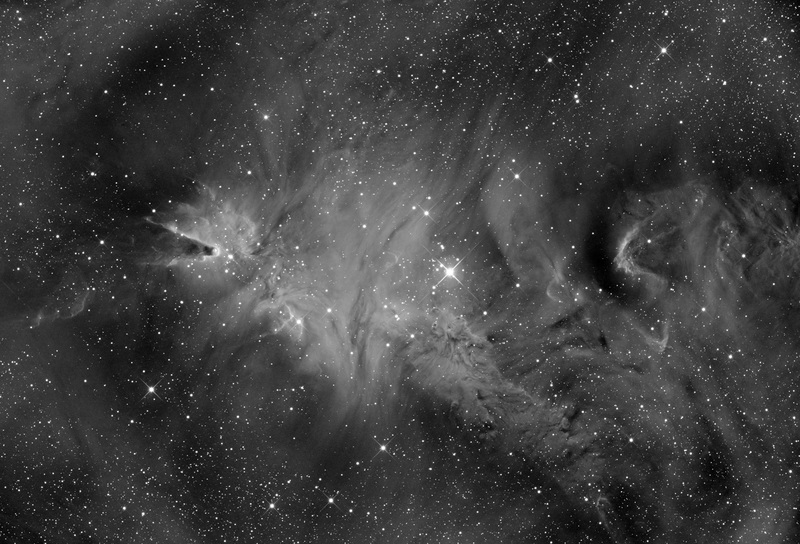 At its base is the variable star S Mon and at its top is the Cone Nebula - a conical shaped pillar of dust and gas. The part of the cloud near S Monocerotis has been designated as Sh2-273 and was nicknamed the "Foxfur" nebula due to its resemblance to a fox. The subframes of this image were acquired in a long period of time (between November 2012 and January 2013) Since in begin of December we had to rotate slightly the camera (in order to improve the balance), the orientation of the subs are different. This explains the double star spikes.